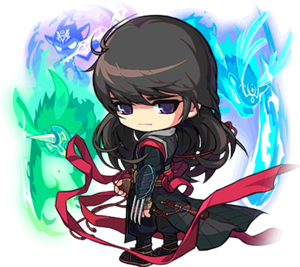 Shade, called Eunwol (Silver Moon) in KMS, is the Pirate Hero that was released in KMS on January 2, 2014. He uses skills and attacks involving fox spirits to aid him in battle. This page was last edited on 17 January 2016, at 16:25.